Where To Get a Macaron in LA? Yesterday I talked about French Wines, today I talk about the French Macaron. I’m gathering a theme here. Throughout the summer I have been obsessed with this cookie looking for fun places to go and find these yummy cookies throughout all of LA. Where do you find a Macaron in LA? I was introduced to these little gems when I attended an EventBrite brunch earlier this summer. And let me tell you I’ve been obsessed with them since. Flavors such as Rose, Lemon, Pistachio, Caramel and my all time favorite: French Lavender. Located at the Americana at Brand. I haven’t explored the OC nearly as much as I should, but one summer day I was fortunate to explore downtown Fullerton and ran across Layer Cake Bakery. What’s great about their Macarons is that they’re made with real butter. And you can truly taste the difference. Another fun place to pick up authentic French Macarons is none other than the Orange Circle in Orange. Stop by the fun shop “Paris in a Cup” to get a taste of Paris. Stay for tea, and enjoy a macaron on the way out. 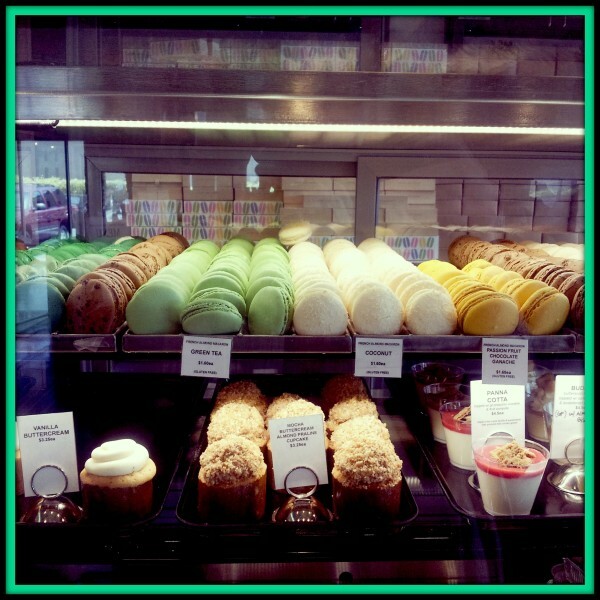 This is my favorite go to place when I’m having a Macaron Craving. Not only because it’s a fun dessert shop located close to the movies, but because it’s a location close to home. If you’re ever in the South Bay area be sure to put this on your places to visit right in Torrance. With locations in Beverly Hills, Little Toyko, and Pasadena this little macaron shop is becoming a favorite amongst locals. Okay, so I haven’t been here yet, but RAVE reviews, and I mean RAVE reviews have been coming in for Bottega Louie and especially when it comes to their macarons especially their Le Grand Macaron. This fun restaurant located in Downtown Los Angeles is a great recommendation whenever you’re looking for a place to eat before going out on the town for the evening in Downtown. Did I miss any of your favorites? If so, please share in the comments. Not only good for me but others that happen to stop by. 8 Responses to Where To Get a Macaron in LA? 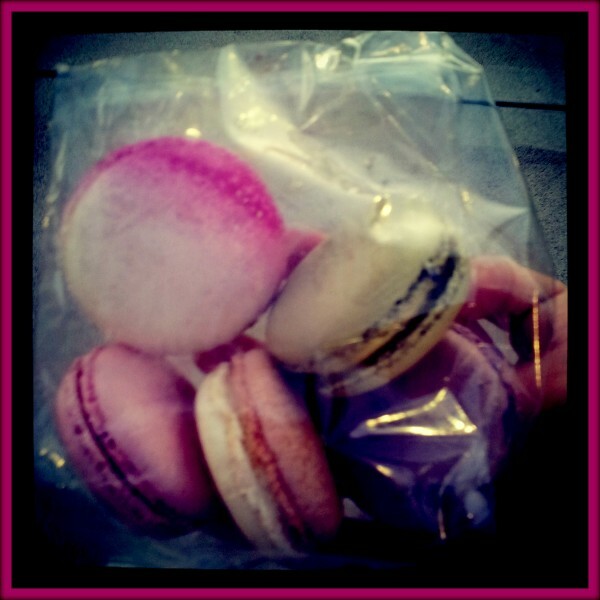 Omg, please let me know your thoughts on your first macaron when you do have one =) I’m addicted! Bottega Louie’s macarons are SO delicious!! 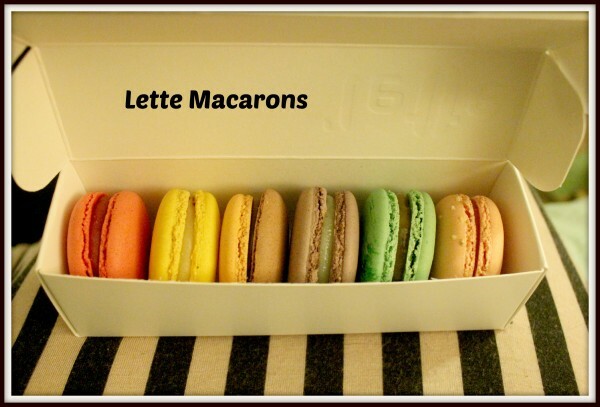 The boxes that they put the macarons in are so pretty too – like jewelry box packaging. They have other yummy pastries too. Aww, I have to get there before I leave town!! Bottega Louis is everything! 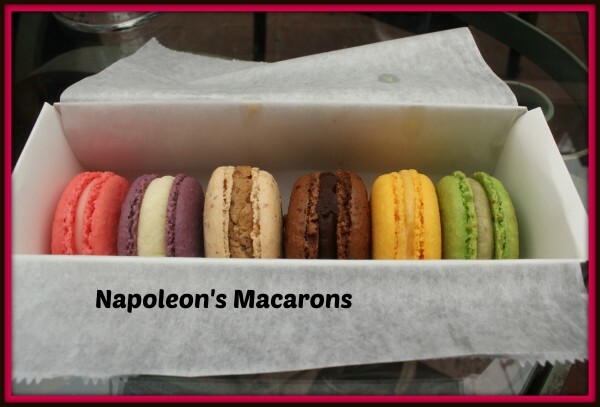 Don’t just eat their macarons, but sample a bunch of food and sweets from their bakery case. Pricey, but oh so worth it! My family love macarons. we will be visiting some of these. I will favorite this post. Thank you for sharing.